A Chenega Corp. subsidiary has secured a potential nine-year, $118.2M contract from the U.S. Army to provide security support services at remote sites in Japan. 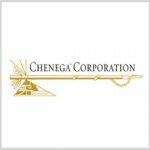 Army Contracting Command announced the contract award to Chenega Security International in a FedBizOpps notice posted Thursday. The contract covers access control, quick response force duties, internal perimeter patrols, security dispatch duties, alarm response services and electronic security monitoring support. “The contractor shall furnish physically fit, trained, and qualified personnel and all necessary supplies, equipment, lodging, uniforms, individual equipment items, vicinity transportation, travel, and supervision required to provide physical security measures for equipment and personnel operating at two remote locations in Japan,” according to the solicitation’s synopsis. The single-award contract has a 90-day phase-in period, one-year base term plus eight option periods and an additional option to extend services for six months.